We assess learning needs and design classroom, virtual, and blended solutions that build awareness and skill. Our focus areas include management and leadership development, customer service, and sales management training. We provide advisory services, tools, as well as coaching certification for executives and managers, enhancing or improving capabilities for newly promoted, derailed, or high-performing managers and executives. The Rainforest Game is an insightful hands-on exercise designed to provide individuals and teams with a realistic experience of collaboration across both internal and external boundaries – and of the challenges they are likely to encounter in the process. During game play, participants assume the role of artists—brought together from all over the globe by The Rainforest Collective (an organization promoting endangered rainforest awareness). Their mission is to assemble a mosaic, made of pieces that they and other design studios have created, which is to be displayed at a celebratory art installation for The Rainforest Collective’s annual conference. Participants are organized into subgroups, but since no group has all of the required pieces, they must venture across boundaries and work collaboratively to achieve success. 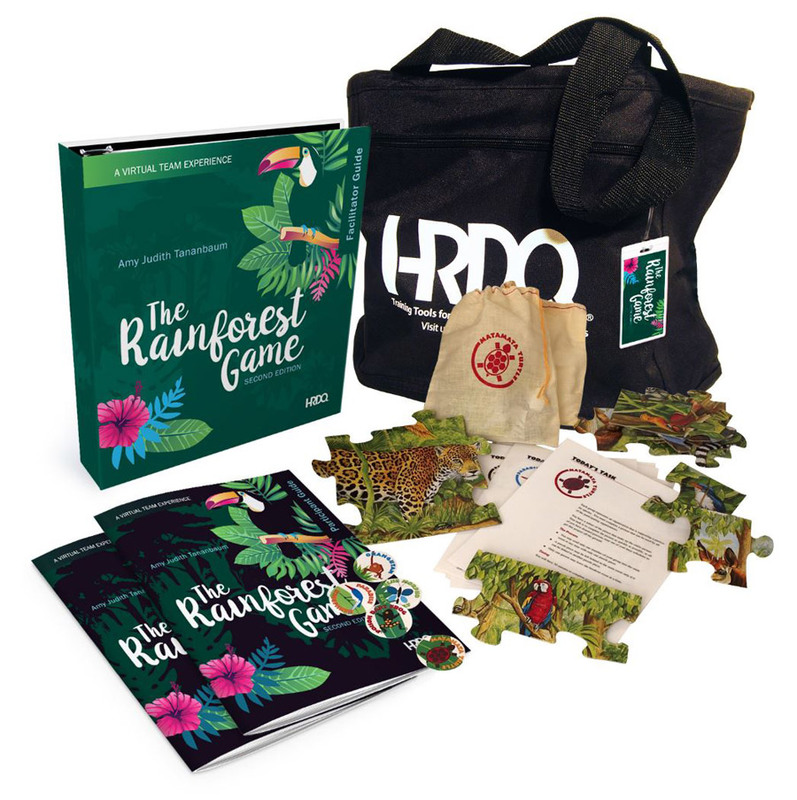 Check out our Rainforest Game product available at HRDQ.